Congratulations to Julie Fillippini on winning our fourtieth High Five Giveaway! Thanks to all who entered. 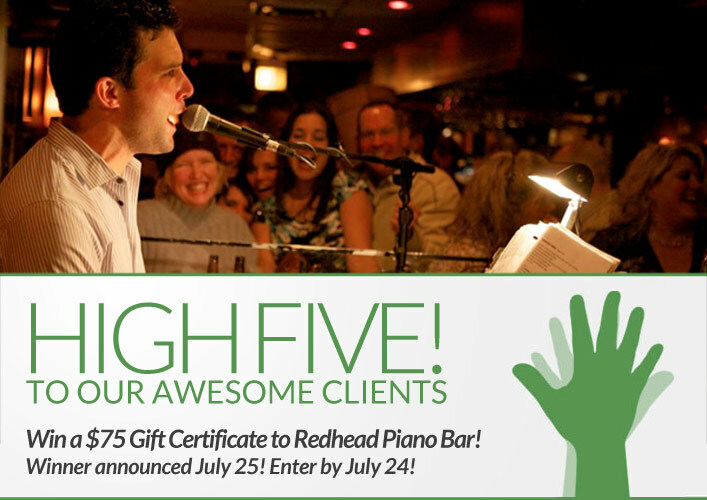 For our next High Five Giveaway we have another $75 gift certificate to Redhead Piano Bar. This is an easy one. Name an XEX staff member! Now, just add a comment to this post with the right answer to be eligible to win! The winner will be announced on Thursday, July 25. Entries must be received by midnight on Wednesday, July 24.